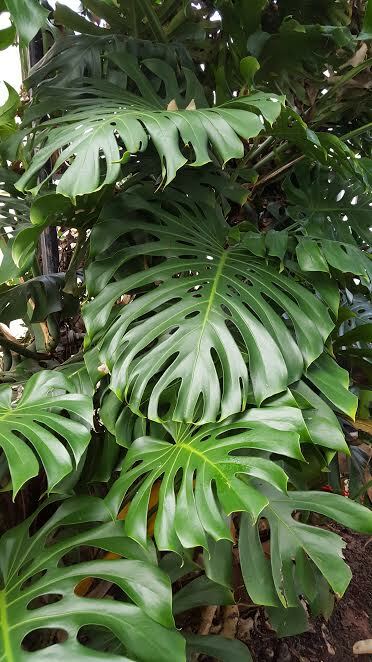 The Swiss cheese plant - Monstera deliciosa, is a highly ornamental climbing plant and popular, although arguably inappropriate, houseplant. Despite its common name it is not native to Switzerland and neither does it taste of cheese, although the edible fruits are said to have a taste which resembles fruit salad! The unusual common name refers to the elongated holes which appear in the mature leaves. Large leaves are prone to tearing during tropical storms and so this particular species has evolved these characteristic holes as a method of damage limitation. 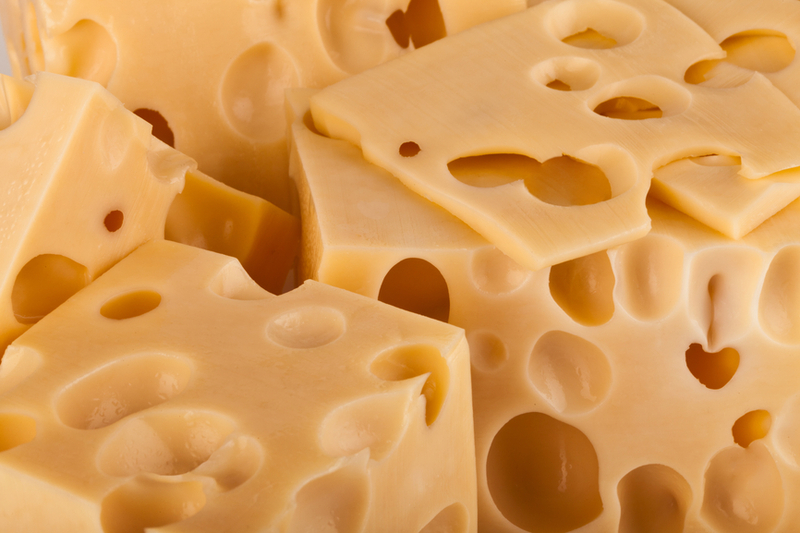 Some types of Swiss cheese are also riddled with holes, hence the association. Unfortunately flowering is rare (but not unheard of) when grown indoors and so you are unlikely to produce fruits unless suitable conditions can be provided outside. Native to the tropical rainforests of southern Mexico, and further south to Panama, it does not grow solely with its roots in the ground like most regular plants. 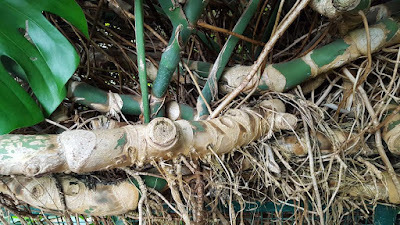 It is instead an epiphytic plant, which is one that grows harmlessly upon another plant (in this case a tree) and receives its moisture and nutrients from the air, rain, and the debris which can accumulate around its aerial roots. In its native habitat, seedlings of the Swiss cheese plant will naturally grow towards the darkest area within their surrounding until they find a tree trunk. It is this tolerance to heavy shade which is why mature plants are so suitable for indoor conditions. You can grow the Swiss cheese plant outdoors in a humus-rich, moist but well-drained garden soil. 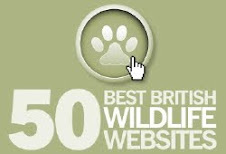 It will require a shaded or partially shaded position in a sheltered frost-free area. It will perform best between 20–30 °Celsius, but be aware that growth will stop in temperature below 10 °Celsius. The Swiss cheese plant has no tolerance to frost and will die in freezing conditions. When grown as a house plant or for interior decoration in public buildings, plant in a good quality loam-based compost such as John Innes 'No 2 or No 3'. Due to its climbing habit support will also need to be put in place. For large pots a decent moss pole will be suffice but only up until the specimen has outgrown its place. More substantial supports will need to be considered if the plant is to remain in situ. Provide bright, indirect light with moderate to high humidity. Direct sun can scorch and possibly cause yellowing of the leaves. In dry atmospheres regularly spray with room temperature water and consider providing a saucer containing damp expanded clay balls. Due to the extensive aerial root system Swiss cheese plants will require suitably large pots. so when watering, make sure that all of the compost is evenly moist. 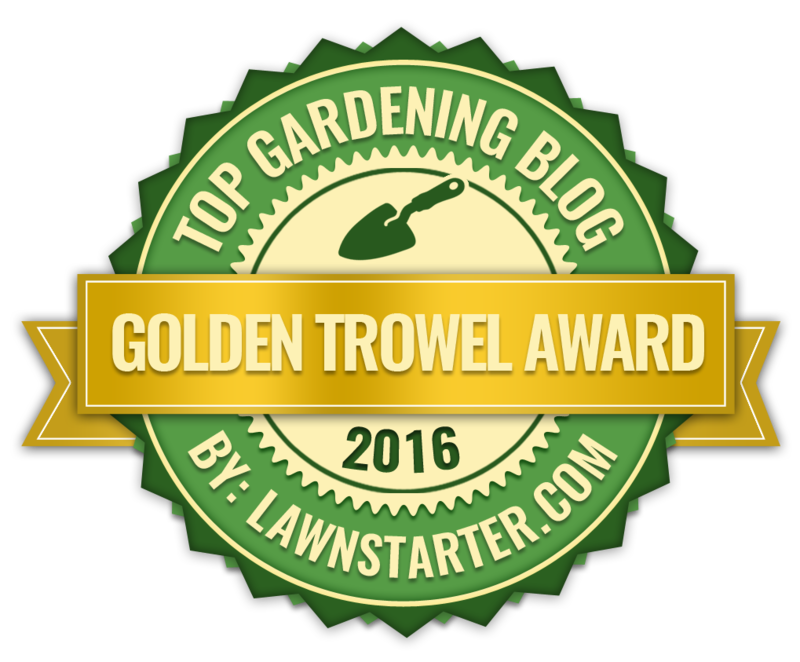 Allow the top 5-10 centimetres of compost to dry out before watering again. Feed with a good quality liquid soluble fertiliser once a month during the growing season. Given favourable growing conditions the Swiss cheese plant can grow to approximately 20 meters high. So once it has reached a size that no longer provides ornamental value you may wish to consider replacing the plant for a smaller specimen or cutting it down to a more suitable size. Heavy pruning can also lose the plants ornamental value.